The first Lone Ranger program was broadcast on WXYZ Radio in Detroit, Michigan on January 30, 1933. Families would gather in their living rooms or around the kitchen table and listen to the Lone Ranger and other radio broadcasts. Radio programming required the listener to be an active participant. Adults and children would have to use their imaginations when listening to the Lone Ranger; the actors, costumes, sets, backdrops and props were all of the listener’s own imagining. Perhaps the best known of the Lone Ranger actors is Clayton Moore. In 1949 Moore was signed to play the Lone Ranger on television. 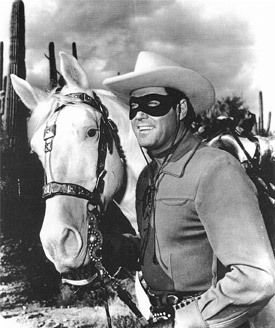 Clayton Moore left the production in 1952 but returned the following year to continue portraying the “masked man.” In all, Moore starred in 169 episodes of the television series. He and Jay Silverheels, as Tonto, also starred in two feature length Lone Ranger movies. For more than 40 years following the close of production, Moore continued to both portray the Lone Ranger and promote Ranger “ideals” in personal appearances, TV guest spots and commercials. Dolores “D.” Taylor, M.D. purchased her first Lone Ranger collectible, a Lone Ranger belt, when she was nine years old. Such was the beginning of a fifty-three year passion of collecting Lone Ranger and Tonto items. Her fascination with the Lone Ranger and enthusiastic support of all things associated with The Lone Ranger and Tonto were an extension of the code by which Taylor conducted her personal and professional life. Her life-long commitment to collecting Lone Ranger and Tonto memorabilia has resulted in one of the largest and finest personal Lone Ranger collections. 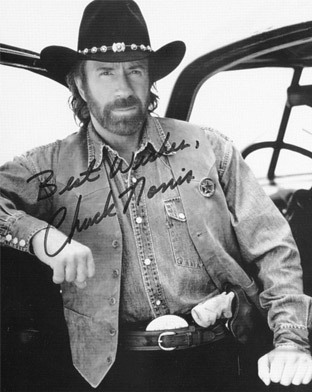 Walker, Texas Ranger first aired on CBS in April 1993 and produced 203 episodes before ending in May 2001. The star of the show, Ranger Cordell Walker, played by actor Chuck Norris, portrayed a modern day Texas Ranger stationed in the Fort Worth and Dallas area who relied on old fashion instincts to catch today’s sophisticated criminals. The fictional character of Ranger Walker was not based on a particular Ranger. Instead Walker, Texas Ranger combined the popular image of the rough and tough Ranger of the old west with that of a 20th century crime fighting Ranger. Although the show was set in the late 1990s and filmed in various locations throughout Texas, the show was not based on actual events, only inspired by contemporary crimes.